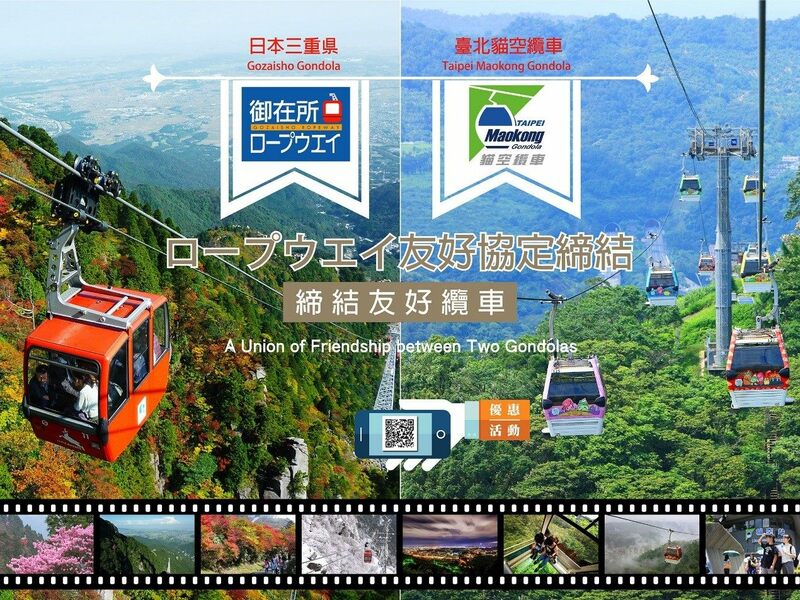 Maokong Gondola and Gozaisho Ropeway entered an agreement of friendship, joining hands to promote their respective services across borders. From today onwards, Maokong Gondola passengers can acquire Gozaisho Ropeway pamphlets at Maokong Gondola stations. Individuals can enjoy 30% discount on Gozaisho Ropeway when presenting the pamphlet before the ride. 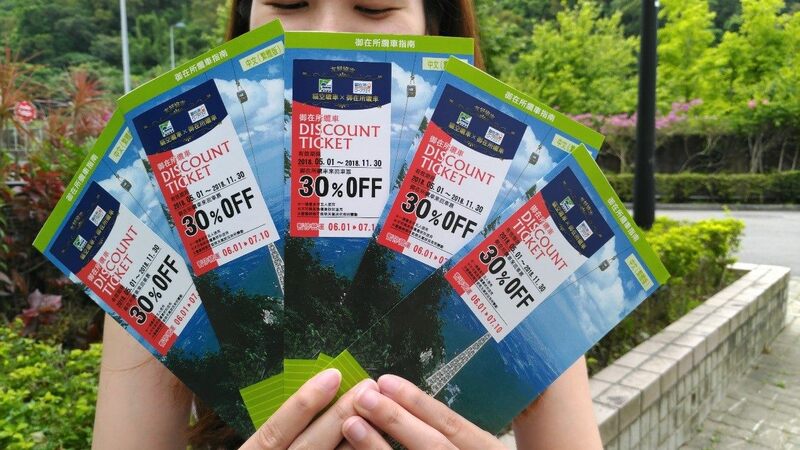 Accordingly, Maokong Gondola pamphlets will be available at Gozaisho Ropeway stations from May 29 onwards, allowing holders of the pamphlet to save NT$50 for a ride when they visit the Maokong Gondola. Maokong Gondola rolled out Taiwan’s first aerial lift crystal cabin in 2000. The crystal cabin offers a panoramic view of the Maokong area and is well-known among Japanese tourists. Gozaisho Ropeway operates in Mount Gozaisho in Komono, Mie Prefecture, which is also home to Suzuka Quasi-National Park. As seasons change, visitors to the area are greeted with shifting colors depending on the times of the year. Gozaisho Ropeway plans to roll out new cabins with a glass floor window to enhance rider experience. Maokong Gondola is closed to the public for annual maintenance during May 15-28 and will reopen on May 29. Gozaisho Ropeway service will be suspended from June 1 to July 10 for maintenance; the facility will reopen on July 11. For more information, please call TRTC’s 24-hour customer’s hotline (TEL: 02-218-12345) or the 1999 Citizen’s Hotline. Details are also available on the company’s Chinese website (https://english.metro.taipei/) and Maokong Gondola’s Chinese website (https://english.gondola.taipei/).